Addiction can be a real struggle. Anyone who has gone through it themselves or watched a loved one battle it knows that to be a fact. Sometimes people have the ability to get themselves into a treatment facility on their own. They have the presence of mind to make change and the will to follow through. At other times, people can be compelled to make a change in their lives that will positively affect their family. Still, there are times when people don’t think they need to change at all. It is during these moments, when the person feels they are in control of their drug or alcohol “use”, that family members and friends must consider the merits of staging an intervention. 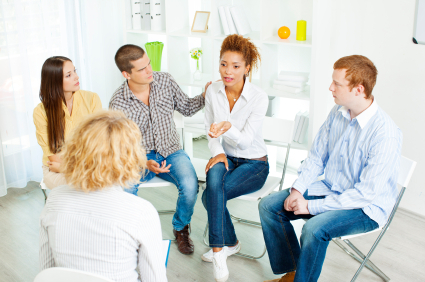 Staging an intervention is not just about getting the person to see how their addiction impacts everyone around them, but also to see that those same people care for them, and can help the individual overcome the emotional barriers to getting treatment. That makes choosing the right people the most important component. Include people that are emotionally close to the subject and that genuinely care about their future. The sentiment must be reciprocated or the intervention is less likely to be effective. Contact the participants in private to ensure that they are appropriately willing and able to participate. Participants should never be forced to get involved. Meet ahead of time to work out the plan for the intervention. This will helps things run smoother once you put the plan in action. While you want this process to have impact, too many people may be overwhelming. Select the most important people in the subject’s life, being careful to keep the number of participants to less than ten. Be sure to get your thoughts in order before going into the intervention. Sometimes there is so much to say it is hard to determine where to start. Writing down your thoughts ahead of time and ordering them in the most cogent fashion for your circumstance is recommended. Some might suggest that you prepare your thoughts but don’t memorize your comments to express yourself naturally, as though you are having a conversation. This however can usually lead to disaster. It is highly recommended you write exactly what you will say and actually read it aloud. An intervention can be emotionally overwhelming and off-the cuff speeches usually don’t come out as planned. Perhaps the most difficult aspect of an intervention is the idea of ultimatums. Feeling as though you need to threaten to deny your loved one something if they don’t get help, it is NOT what you are doing, nor should you be trying to figure out what to threaten them with. What you WILL need to do however is honestly evaluate how you are supporting their addiction and be prepared to love them enough to stop. With this in mind, understand the most important element to an intervention is to never try to threaten to stop something you won’t follow through with. The purpose of an intervention is to change the dynamics of your relationship with the individual to inspire positive change in their life. If you don’t follow through with the changes you proclaim, nothing will be taken seriously. Keep in mind that people will sometimes test this before agreeing to seek help or accept the help you are offering until you show the changes are real. Once again, know what you plan to say before the intervention. In their presence, it will be difficult to stick to your plan, so prior preparation in this area is paramount. It is tempting to confront your loved one on your own, but there are interventionists that can help. These seasoned professionals can assist with the planning or running the intervention, either actively or passively. They can help you get back on track if the conversation veers off into a difficult place and can help organize the discussion so that everyone stays on track. 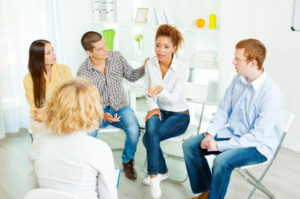 Usually a professional will also be trained in some sort of psychology as well and can communicate and compromise effectively with the person you’re holding the intervention for. Moderating the discussion in this way is helpful in getting your point across successfully. If you have doubt that you will be successful on you own, or if your communication attempts with the individual usually end in an argument, it is a good idea to use a professional. Research the treatment facility you want the subject to enroll in ahead of time. That information should be relayed to the person during the intervention so they know what their options are. A delay in enrollment in a facility undermines the efficiency of the intervention. At the end of the intervention, give the person a choice. If they choose to go into a treatment center, take them to the one you have chosen. Some facilities will allow you to pre-register so that there is less time for them to back out. You might even pack a bag with the items they will need during their stay instead of taking them to their home to gather their things. If they decide against treatment, everyone must stand firm on the changes they had committed to making in their relationship with the individual. It will be difficult, but your strength will, in time, help him or her to understand what needs to be done. Don’t delay in the consequences; to be effective, the impact must be felt right away. Be strong in your decision to stage an intervention. It is a loving process that is designed to show the subject what is happening around them and open their eyes to the consequences of addiction. This highly effective method can bring about life altering change in a person’s life. Contact St. Gregory Recovery Center to see what we can do to help you in this life saving process.